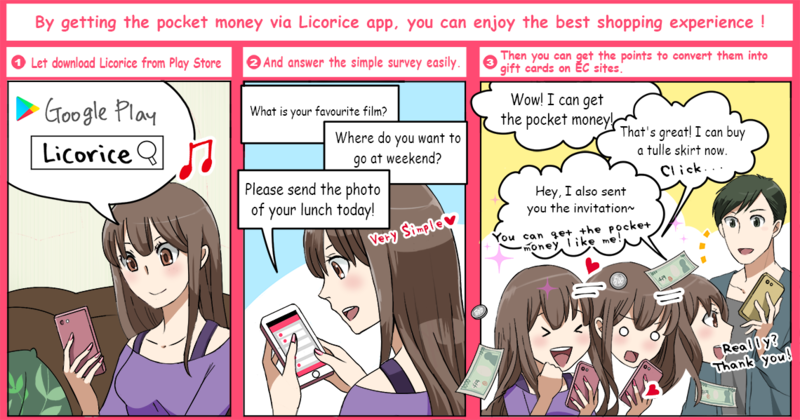 Throughout the smartphone app, Licorice distributes jobs to local users in each countries. When jobs are completed, local users redeem prize such as prepaid card for mobile phones, gift cards for online shopping, or cash. Let do the easy work and get money! 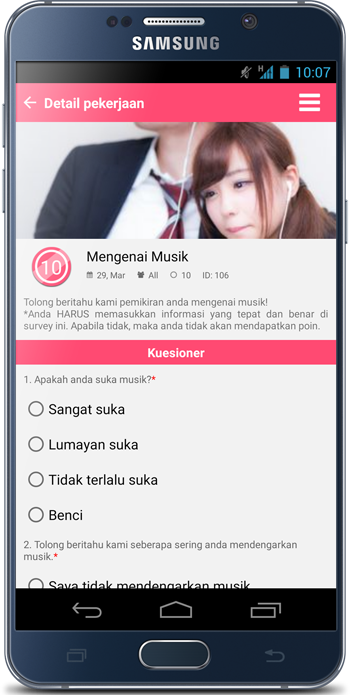 Let get the prepaid card on your mobile phone by answering the questionnaire in the free time! Just by anwsering the survey from some companies in your free time, like before going to bed or in lunch break, you can get equivalent to 10¢~100¢ for 1 question. You can convert the collected points to Amazon Gift or Line Pay, as 1¢=1JPY. The surveys will include some simple questions, such as "What is your favourite movie? ", "Please send me the picture of the dish you ate for lunch today"! Let answer the questionnaire quickly and get the pocket money! Invite your friends and earn more! If you invite your friends now by email or Facebook, you can get 20¢ per person! Beside that, if you invited 5 people, you can get 40¢ from the 6th people! And then, the invited friends also get 20¢! Since the number of invite people is unlimited, so let invite more and more your friends and your families! You can earn points anytime, everywhere! New works will be added everyday. 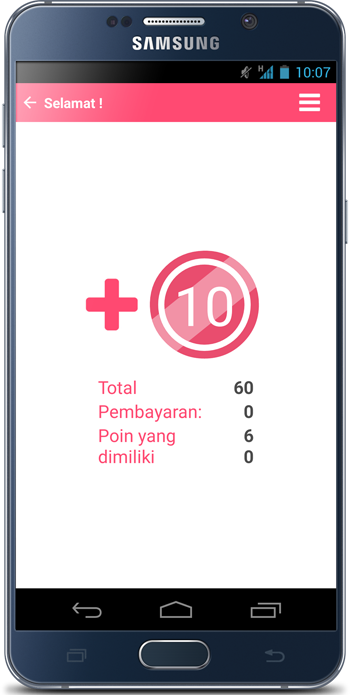 So if you use Licorice app everyday, you can do your work anytime, everywhere! > Please tell me about your eating habits (breakfast). Please send me the picture of your breakfast today. Please tell me the name of this dish. Please tell me the main ingredients used in this dish. Please tell me where you ate. How often do you eat this dish? Please tell the reason why you ate this dish. Please tell me about your breakfast. > Please take the picture about daily scenery of the city where you're living. Please take the picture of the place where you often go to, like school or company. (you can send more than one photo). Please take the picture of your favourite scenery in Vietnam. (you can send more than one photo).